A kaftaan hung on their door attracted us, and we couldn't help but walk into their store. 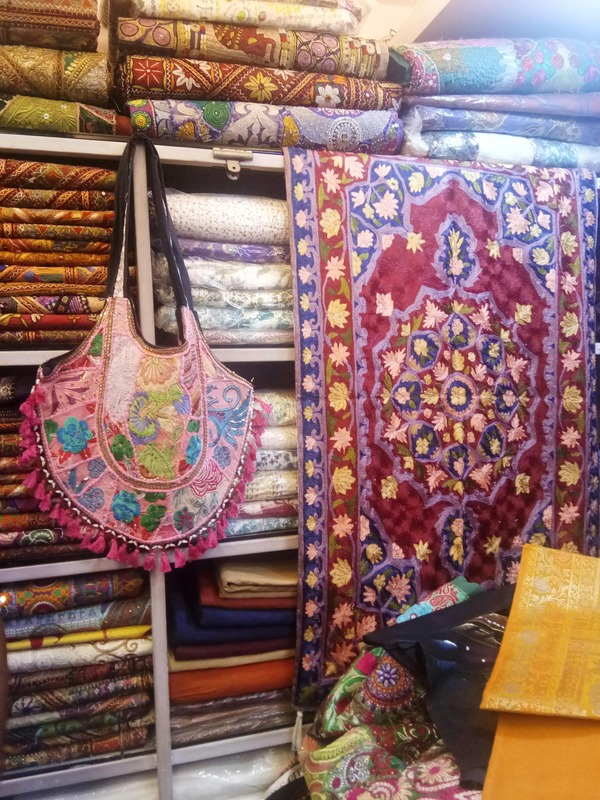 Amratlal Purshottam and Company in Colaba is a haven for carpets that aren't just unique but also value for money. We were shown some of their best handcrafted and embroidered carpets, made by workers in Rajasthan. They come within INR 2,000. They also have colorful bed covers and cushion covers from INR 950 onward. And if you're a fan of soft Pashminas, get your hands on their varied collection of shawls. You won't be disappointed. Among other things, they also keep wall hangings that depict traditional Indian art forms, silk paintings, and distressed silver jewelry. You will find them near the Leopold Cafe and they're pretty well known in the area, so someone will definitely guide you to them.